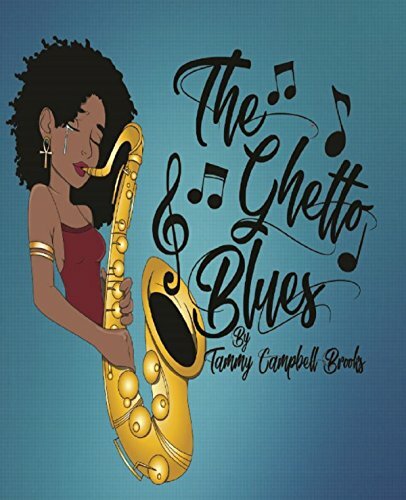 The Ghetto Blues is an autobiography of your life in the projects of San Antonio and how you overcame numerous obstacles. Why was this an important book for you to write? My legacy is important to me and I want to share my story to inspire people. I want my children and future grandchildren to know the real me, my life story, and that no matter what life throws at you, you are to never succumb or play the victim role. No excuses. I wrote the book for my family’s history; the saying that every time an old person dies, a history book dies with them. I don’t want my history book to die with me. What I liked most about this book was the honesty in the retelling. You left nothing out, good or bad. What was the hardest thing for you to write about? The hardest to write about, is by far, the suicide of my beloved mother. She was not only my mother, but my best friend and someone that I could talk to about anything. My mother always had my back and she loved all of her children, unconditionally. The Ghetto Blues is dedicated to my mother and father. When writing a biography it enables you reflect on life choices. Is there anything that you see differently now that you’ve written this book? There’s a lot that I see differently as I reflect back on my life’s choices, but without the decisions that I made, there would be no Ghetto Blues. My experiences taught me to remember the past but don’t let it define my present and future. I’ve learned from my choices and there’s no greater teacher in life than mistakes. I felt like this book was about perseverance in the face of adversity. What do you hope readers take away from your book? I hope that readers take away the fact that no matter what you go through in life, you are the director, producer, actor, and the entire cast of your life’s decisions. You are in control of your own life. There are two choices, to give up or to never give up. I hope that the Ghetto Blues inspire young children and people in general that are born into poverty, suffer mental, or physical abuse to never give up. My legacy is important to me. I want to leave a legacy that my children and grandchildren could be proud of. A legacy that would be a blueprint for future generations to tweak and make better. I write this book for future generations to learn, grow, and inspire to be a better you. This book is the story of my life and based on true events. It’s about a young lady that struggled through her identity crisis and was raised in unstable environments and poverty. A story about a life of tragedy, trepidation, but triumph. I never accepted the ideology of a victim. Instead, I embraced strength, resilience, and a warrior’s philosophy. I fit the perfect description of Tupac Shakur’s meaning of the saying, a rose that grew from the concrete. When the odds were stacked against me, I continued to grow mentally, physically, and spiritually. I believe that you are only a victim when you have no choice; otherwise, you are an enabler. I had no choice being born into poverty, but I had a choice on whether to rise above my circumstances. My desire was to break the mental and physical chains plagued in our communities and instill new ones for me and my children. My story goes out to all the people that suffered and survived, The Ghetto Blues. I hope to transform and inspire you to never give up on you. 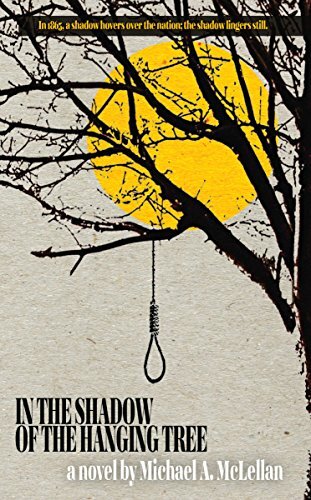 In the Shadow of the Hanging Tree takes place in the 1860s and follows the lives of three people trying to find their way in post-Civil War America. What was the inspiration for your characters; the Henry the ex-slave, Clara and lieutenant Elliot? I have always been an omnivorous reader. From horror to historical and most genres in-between. The American western is genre that seems to have sort of faded into obscurity over the last thirty years or so. I suppose I can understand why. A lot (not all) of it had become dusty, formulaic, trope-worn, overly-romanticized, and historically inaccurate. I set out to write a story set somewhere between the gold rush and the turn-of-the-century. Something with a different kind of hero from the gunfighter or bank robber. Something that would dust off the genre, add some real humanity, and hopefully spark some renewed interest in this fascinating and sometimes troubling time period. Henry as the main protagonist was an easy choice. I read a short once, about a man who was freed after the civil war and went on to become a well-known cowboy in Texas. The man had a remarkable way with horses. He was the inspiration for Henry. The challenges African Americans faced even after they were freed from slavery were monumental, and so many extraordinary men and women overcame this adversity and went on to live noteworthy lives. With Clara I wanted to highlight challenges that women of the period faced. Their oppression can’t be compared equally to African American’s enslavement, but neither can it be marginalized. 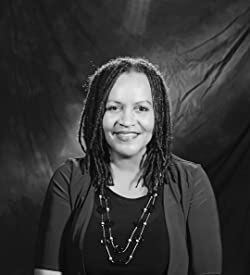 I also used her character to showcase the disconnect between wealthy easterners and the reality of what was going on in the rest of the country. 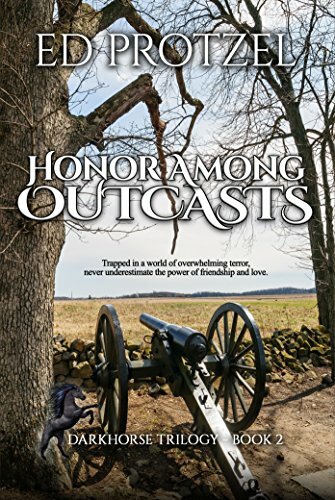 John Elliot’s inner conflict wasn’t that uncommon for soldiers both during the civil war and the years following. I have read truly heartbreaking letters sent home disillusioned soldiers from the period, particularly ones from soldier’s involved in what could arguably be called the Native American genocide. 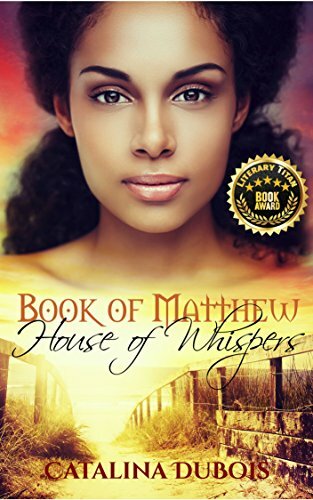 This novel gave a good view of life in 1860s America for slaves and Native Americans. What were some themes you tried to highlight throughout this novel? Mostly that things aren’t always as black and white as we have a tendency to make them out to be. The world is made up of a lot of greys, and the difference between right and wrong isn’t always easy to see. We live every day with prejudices we’re blind to and sometimes it takes extreme circumstances for us to even realize it. Henry and Clara’s relationship is touching but anchored with fear and a desire to find their way to the right side of things. What served as the basis for their relationship while you were writing? Henry and Clara’s relationship is one of self-discovery for both of them. Henry begins to forgive himself, and finds that he is still capable of love. Clara discovers that her prejudices were misinformed. Her interactions with Henry, and his honesty, later affects how she later handles John’s disturbing revelations. I have two novels in the works. One is a contemporary drama about a twelve-year-old whose parents both die tragically less than two years apart. He’s subsequently injected into the foster care system and eventually runs away hoping to find an estranged grandparent who lives off-the-grid in Montana. The second is about a man searching for his daughter years after a global catastrophe. Both novels should be released in 2019. 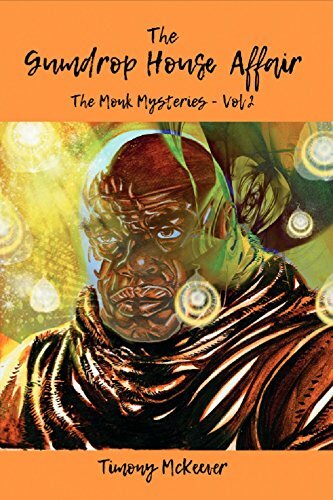 The Gumdrop House Affair, volume 2 in The Monk Mysteries, takes readers on a journey from the untimely death of Saul Greenberg, the financial officer for the Diocese, through the gruesome discovery of a horribly decomposed body no one can seem to explain, to the recurring appearance of the menacing turquoise eyes. Timony McKeever’s characters, Sergeant Jack Laskey and Father William Butler are both painfully aware of the presence and part played in the string of violent acts by the evil they refer to as “The Ugly.” Somewhere between Aunt Rhoda’s World Famous Apple Cobbler and Mona Monahan’s famed Gumdrop House lies the answer to the Laskey and Butler’s questions. Mysteries top my preferred reading list, and The Gumdrop House Affair ranks among my favorites of recent years. Not having read volume 1 in the The Monk Mysteries, I don’t feel that I was lost. Readers need not read the first installment to fall nicely in step alongside Laskey and Butler as they struggle against “The Ugly.” McKeever does an excellent job bringing readers up to speed on his main characters’ backgrounds. By far, the McKeever’s character, Aunt Rhoda, is my favorite among the many players in this work. Her strength and no-nonsense attitude permeates every scene in which she is featured. She is capable of curing most any ill with her frying pan alone–that includes the odd home invasion. The Gumdrop House and its proprietor, Mona Monahan, are as unique as they are colorful. The Gumdrop House is a place of refuge and operated by Mona with open arms and no judgements. Mona is yet another of the author’s strong female characters. The account she relates of her face-to-face encounter with her grandfather, a mobster in his own right, demonstrates her tenacity. Dialogue is one of McKeever’s most obvious strengths. The author transports readers to the scene of the crime with the colorful conversations between Laskey, Mona, Paisley Bob, and the rest of his lengthy list of players. Nowhere is this more evident than in the most violent and climactic scenes. I am not a fan of excessive profanity, but McKeever uses it sparingly enough and in the most appropriate circumstances to drive home his characters’ emotions. Within The Gumdrop House Affair, the author intersperses an added layer of first person observations of Deputy Chief Thomas Dugan between authentic dialects and heated exchanges in order to explain his characters’ choices and actions. I truly appreciated this additional twist in McKeever’s writing. He gives his writing the feel of the classic detective novel with these ventures into the mind of one of his characters. This introspection is a welcome addition to the already engaging tale. Fans of the mystery genre will not be disappointed with Timony McKeever’s police drama. 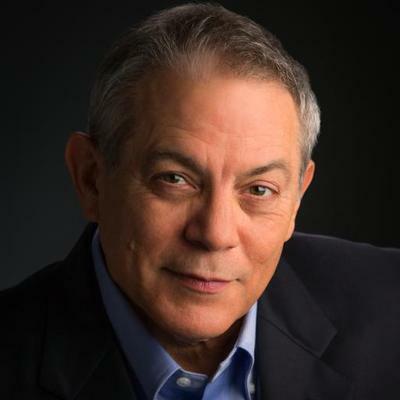 Each of his characters has a rich personality and is portrayed in vivid detail. The multifaceted plot addresses everything from inherent evil to the corrupt dealings within the Catholic church itself. From beginning to end, McKeever’s mystery installment is laced with humor and brimming with everything that makes for an authentic and enjoyable thriller.